The Sportfishing Conservancy plans to ask the California Fish and Game Commission for a regulation change that could make it easier – and more affordable – for Southern California private boat anglers to “tank up” with local live bait. Program Director April Wakeman will present this proposal at the upcoming Commission meeting in Bakersfield, asking that the Commission allow the recreational use of cast nets in Southern California ocean waters for gathering live bait. Currently, they are only allowed North of Point Conception. Cast nets (also known as Hawaiian Type Throw Nets) are commonly used by anglers in many other ocean live-bait fisheries. 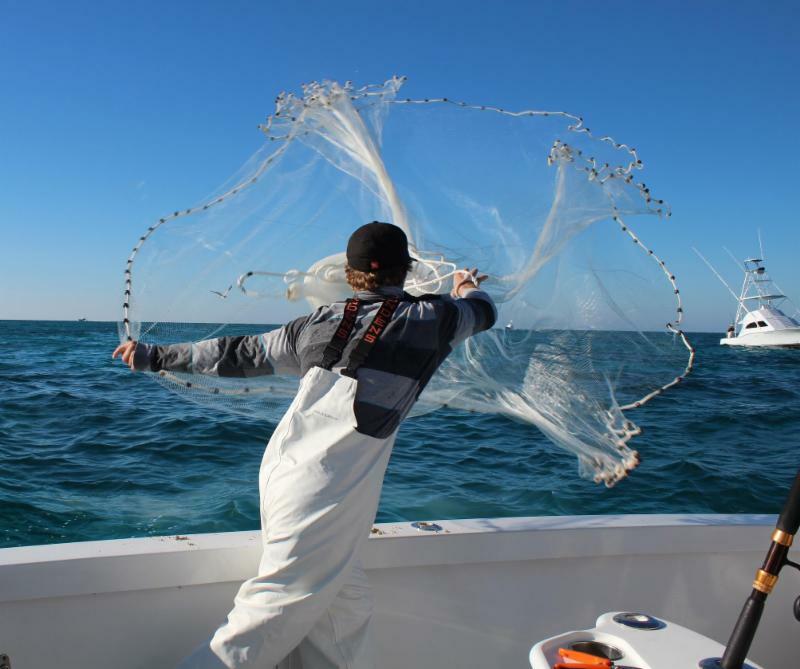 For example, guided and private-boat trips in Florida and Gulf Coast waters (where there are no “bait receivers”) typically begin with cast netting a tank of pilchards, goggle eye and other live baits effective for inshore or offshore gamefish. The same techniques and equipment could be used to catch popular live baits found in Southern California waters, and in many instances it would likely be faster and more effective than “jigging” individual baits using hook-and-line or waiting in long lines at bait receivers. “We are seeking a minor regulatory change that should put Southern California anglers on level footing with those in the north,” said Ms. Wakeman. “The change should have little or no impact on baitfish populations,” she added. BREAKING NEWS: The first large blue fin tuna for 2016 have been reportedly caught in US waters. One fish was in the 80 pound class and a second was in the 120 pound range. Both fish were taken near the “corner” just southeast of the 43. No one’s talking about it…..we just did! 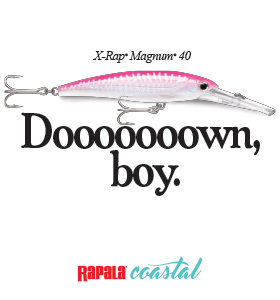 Get yourself a kite and Yummy Flyer lure and have at it.